Feiyu doesn’t have to prove its value anymore when it comes to stabilizers. As a matter of fact, it has been part of the main key players for years now. With its Feiyu G4S Gopro gimbal, it has particularly pleased thousands of users who are still using it now, almost 2 years after its release. The main strength of this stabilizer is certainly its 3 360° axis which will offer you a perfect freedom for your shots. 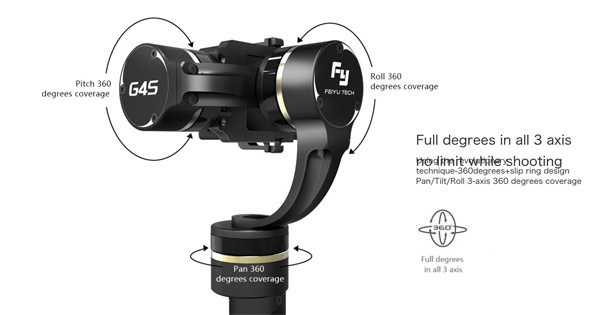 For the time being, you won’t be able to find any stabilizer which offers 3 360° axis…except the Feiyu G4S. Be it on the Pan, Roll or Pitch axis, you’ll be able to do a perfect 360° rotation thanks to the perfect structure of your gimbal. Your Gopro will never hit the gimbal which is so pleasant when you use it. In fact, no other gimbal can boast such a nice advantage. Even though you may find ” 3 axis with 360° rotation”, this is no true… Only the Feiyu G4S can do it. 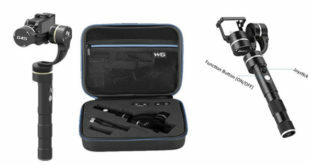 This Gopro handheld gimbal really pleased us thanks to this very good quality. The fact of having a 360° rotation on the Roll axis is really insane ! You can do whatever you want, you’ll never be stuck by your motors. Even its big brother, the Feiyu G5 does not allow a perfect 360° rotation on the 3 axis. The other thing that we also really enjoy with this stabilizer is the fact that you’ll be able to recharge you Gopro directly from the gimbal thanks to a micro USB port which is fixed on one of the motors. One more time, the Feiyu G4S is the only one which allows you to do so which is very pleasant. 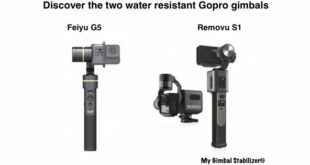 We did really enjoy the fact of connecting our Gopro to the gimbal without any cable, as it’s the case with many of its competitors such as the EVO GP PRO, Feiyu G5, Zhiyun Evolution or the Ikan Fly X3 Go. In the end, you’ll have some very good recording time without ever changing the battery of your Gopro. You may have to change the battery of your gimbal once, though. Indeed, the battery life, if you recharge your Gopro while in use will be approximately 3 hours. Like every stabilizer, this one is not perfect. Indeed, as you can see in our Feiyu G4S review, it has quite a few defaults. Otherwise, it would certainly rank first in our Gopro gimbal comparison table. In fact, we can criticize the fact that it is not compatible with the Hero 5 Black. By the way, this is the reason for which Feiyu decided to create a new gimbal, the G5. Furthermore, the quality of the stabilization is not the best you may find on the market. Even though it is very good and you’ll see a significant difference in the stabilization of your videos, it is still outdistanced by the Removu S1, Gopro Karma Grip or EVO GP PRO which got the grade of 9.5/10 and 9.6/10 for the two lasts. Well, in the end, it is still a very good product that will cost you less than 200$, which is a very very good quality/price ratio. 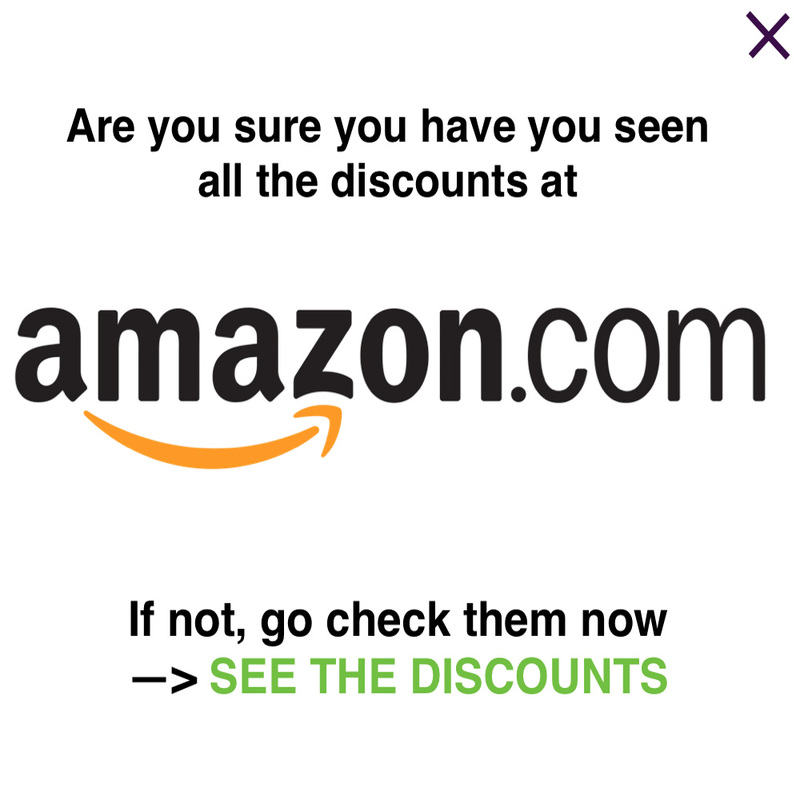 If we did not own it, we would buy it without any doubt. For the time being, this is the cheapest Gopro stabilizer of our Gopro gimbal comparison. 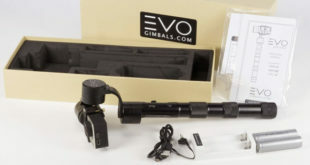 Next The EVO GP PRO Gopro Gimbal : simple but efficient !